A new Medical Innovation Bill has been drafted following the Department of Health’s public consultation which ended on 25 April 2014. The new Medical Innovation Bill is published following the public consultation. 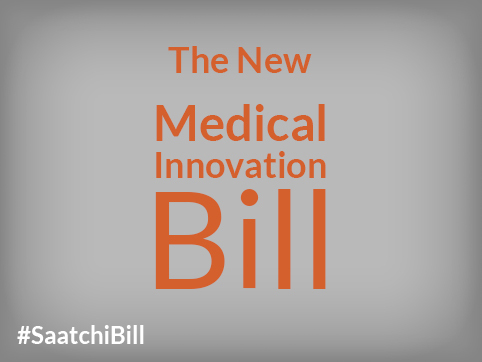 The consultation was designed to gather opinions as to whether the Medical Innovation Bill (Saatchi Bill) was wanted and how it might best work. In other words, it was intended to obtain robust feedback in order to improve on the draft Bill. The new Bill will remain draft until it is introduced back into the House of Lords on June 4th 2014.